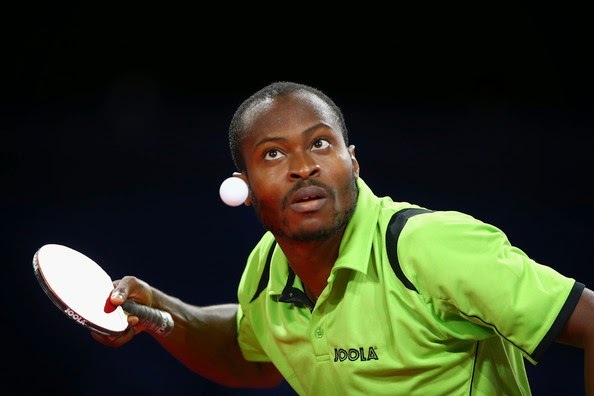 Quadri Aruna has set the world stage on fire by making an enormous leap in the ITTF World Rankings in 2014. Following his stellar performances at the Commonwealth Games, Czech Open and World Cup he has leaped over 200 places to assert himself among the best players in the world. I had the pleasure of meeting him in Washington DC at the North American Teams, he is a true champion, humble and kind and I had the unique pleasure of interviewing him on his career. How long have you been playing table tennis for? 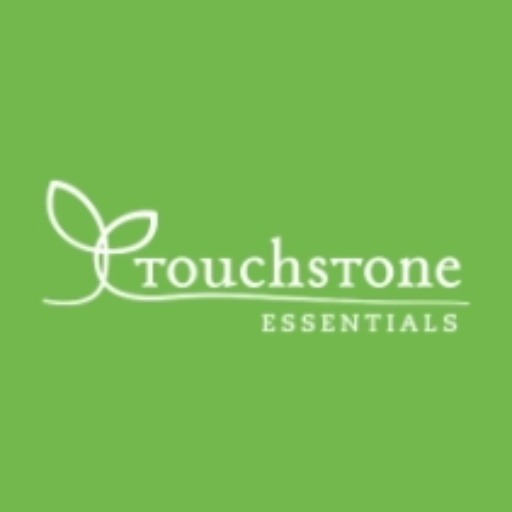 When and how did you start? I started playing when I was 7 years old and it was just to have some fun on the street. After some years I improved and in 2000 I started playing tournaments in Lagos, Nigera. Tell us a bit more about Table Tennis in Nigeria, the playing conditions and resources etc. Has it been difficult to try and develop into a professional player? 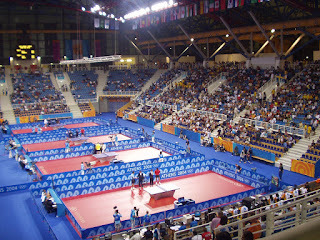 Table Tennis is a popular sport in Nigeria. The playing conditions are average, not as good as in Europe. Table Tennis is not getting enough resources in terms of funding and that is the main problem of taking table tennis to a higher level in Nigeria. The main priority is based on some sports and not others. Taking the game to professional level in Nigeria is not easy because we don't have sponsors for tournaments or playing leagues but we pray that things get back to normal positions. Presently their is no local league in Nigeria. You currently play league in Portugal, how is the competition level there and has this been a big step in developing your game? The level in Portugal is moderate, not too low and not too high, but it's ok to keep myself busy throughout this season. I can say that I improved a lot in Portugal since I came here in 2010 and have continued to improve to this moment. I have good training partners in Portugal and with that I improved rapidly. What is your biggest dream for your table tennis career? You had great success at the Commonwealth Games earlier this year where you beat Zhan Jian from Singapore who was the eventual Gold Medallist. How did you feel after winning that match? Winning against Zhan Jian was my biggest win at that time in Glasgow and I was so happy then. I seriously believed that I had worked hard to this level and I believed that I deserved it. You had a string of exceptional results starting with the Czech Open where you defeated Marc Duran, Alexey Liventsov, Alexander Shibaev and Tiago Apolonia. What do you think helped your level rise before that event? Playing tournaments regularly helped a lot because the more I played the more I improved. I was lucky to get a little funding which helped me to play tournaments regularly and sometimes I had to put in my own money as well because the government is not helping the sport in Nigeria and the main priority is giving to Football. You seem to be very comfortable with the new ball, how do you feel about competing with it so far? I can say that no one is comfortable with the new ball and it is very different. It has less spin and it changes position. I really don't have any advantage with the new ball but I am the kind of player that doesn't care about changes much as we are all playing in the same conditions. I feel normal with the new ball the only real difference is the spin. Congratulations on your results at the World Cup, what was your goal going into the competition? My main goal before the World Cup was to qualify from the group stage which everyone sees as the main difficult, then after the group stage I said I believed going to quarterfinal because nothing is impossible in the knockout stages. My confidence worked really well for me and I played without fear and was relaxed throughout the tournament. How did you feel about your performance against World Champion Zhang Jike? We saw a great fight by you to win 2 games, did you feel like you had a strong chance during the match? Playing against Zhang Jike was a dream come true and I initially believed it was going to be 4-0. I won the first set easily with service and in the second set he easily corrected some of his mistakes which changed the game. After the first set my confidence increased and I believed I could win. I really gave my 100% best and I was just unfortunate to miss some easy balls which made me lose the match. What is your big goal for 2015? I want to retain my African Cup title and if possible surpass my World Cup record. I would love to be in the ITTF World Tour Grand Finals next year. Egypt has ruled Africa for years and by God's grace my target is to dethrone Egypt in the next African Games. Playing in a better league is another objective and I think I stand a chance of playing in a better club next season. My aim is to play in France, Poland or Germany. I love to be on the internet when I am not practicing, I love listening to music and also playing Candy Crush is my second hobby after table tennis. I don't have a strong affinity for cars but I love different types of Toyota model. I always prefer to spend my holidays in Nigeria because there is no place like home. First thing you would do if you won $1 million? I would invest in different areas to ensure the money grows well. I would buy a nice house and a good car and be sure to take care of my parents very well with the money. Would you like to add one last tip, or inspirational message for other table tennis players looking to succeed? They should believe in themselves all the time, they should be positive all the time and finally they should believe that nothing is impossible if they work harder towards it. Hard work really pays a lot which might be difficult in the beginning. Thank you so much for taking the time Aruna and good luck for 2015! The ITTF posted after Zhang Jike's victory at the ITTF World Cup stating that the newly crowned champion will not be receiving ANY of the prize money after his less than acceptable victory celebration. After defeating his teammate Ma Long in an incredibly tense 7 set duel, Jike ran to the barriers on each end of the table and kicked them, damaging a few of the barriers. The ITTF decision is that as punishment Zhang Jike will not receive a cent of his well earned prize money, the sum of 45,000 euros. Even the infamous John MacEnroe who was famous for his outbursts in Tennis was never fined an amount like that and he verbally assaulted umpires and referees and smashed his tennis rackets all the time. While it is clear that Zhang Jike should be reprimanded somewhat for his actions, this is way beyond the call of duty from ITTF. Considering the pathetic amount of prize money in international table tennis already, 45,000 euros is proportionally an enormous fine (despite how much Zhang Jike may earn himself). So as always we face more amazing (insert sarcasm here) decisions by the international body who are of course deluded enough to believe they are doing the right thing for the sport. I think a fine of 5,000 euros would have been acceptable. Zhang Jike pulls crowds and supporters and is good for marketing table tennis, this is a grossly overrated punishment. You could say it's the principle but I think it's a little heavy handed. For sure we don't want this kind of action to be displayed in front of young aspiring players or to influence them in their futures and I whole heartedly agree that a punishment is necessary. However...overkill. Also ask yourself his, if ITTF deem his actions as a bad example and it's worthy of a 45k fine, why have they uploaded the video to their YouTube channel? Hoping for vitality and more ad revenue? If you are willing to fine him all his prize money then don't act to condone his actions by publicizing them further. Zhang Jike expressed his apologies for the outburst after the match. Please let me know your thoughts on this ridiculous punishment! Top 5 Veteran Table Tennis Ladies You Don't Want to Mess With! Li Jiao is a youthful 41 years of age and has been knocking on the door of the top 10 women in the world for many years in the sport. Currently ranked 20th in the world on the October 2014 ITTF World Ranking List, she is still as cunning as ever out on the table. A traditional style penholder from China, Li has represented the Netherlands for many years, and proudly so. She was the winner of the European Top 12 on 4 occasions (2007,08,10,11), European Champion in 2007 and a quarterfinalist at the 2005 World Table Tennis Championships in Shanghai. In this year's world championships she scored 2 points in the Netherlands 3-2 loss to Japan in the quarterfinals, with 5 set wins over Kasumi Ishikawa and Sayaka Hirano. Exhibiting an impressive arsenal of serves, she also commands excellent control on her backhand, impeccable placement and a powerful forehand attack. Over the hill at 51 years old, Ni Xia Lian is still a hotshot on the table tennis table. A former Chinese professional player, Ni was a gold medallist in the 1983 WTTC China team, a bronze medallist in the doubles and gold medallist with Guo Yuehua in the mixed doubles. She also won a doubles silver medal 2 years later at the 85 World Champs. In Europe, she was a 3 time European Championships finalist, winning on two occasions in 98 and 02. Her penhold style and twiddling combination of short and long pimpled rubbers caused havoc for many of her opponents with her being able to control and vary the pace and spin to an incredibly frustrating level. She reached a peak World Ranking of 8th in 2002 and still remains 63rd this month (Oct 2014), well within the top 100 international players in the world. Jian Fang Lay is as competitive as ever at 41 years of age. The winner of this year's Oceania World Cup Qualification and 12 other historic Oceania Championship medals, she is one of Australia's top female players. Lay moved to Australia from China and has been in the Australian National team for the last 20 years. She was a competitive junior player in China and peaked at a World Ranking of 45th in 1996. She remains 120th in the World today and shows no sign of slowing down. With a reputation for lightning fast penhold twiddling between her inverted attacking rubber and long pimple rubber, Lay is able to alter the ball spin and speed to extremes, combining the slow and awkward long pimple returns with spinny or high paced topspin strokes with her normal rubber. This has caused her to continue to compete at the highest international level. At 52 years old and after a period in retirement, Li Chunli is back out on the table chasing the Olympic Dream. A member of the Chinese National Team for 3 years from 1981, Chunli moved to New Zealand and quickly established herself as number 1 with 9 National Singles titles in a row from 1987 to 1995. Chunli was a bronze medallist at the 1997 World Cup and 4th in 1998, defeating the World Number 2, Li Ju in the competition. She peaked at a World Ranking of 19th. Li was the first Commonwealth Games Champion in 2002, winning a gold in the singles over Li Jiawei of Singapore. She also won medals in the teams, doubles and mixed doubles events. She retired after the 2004 Athens games, but returned and qualified 2nd at the 2012 Olympic Games Qualification in Oceania. 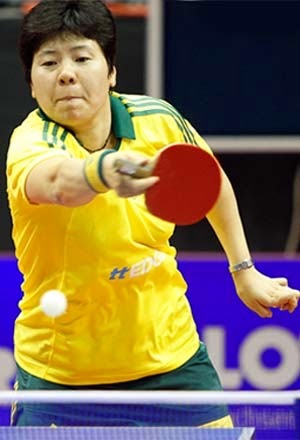 She was Oceania Cup champion in 2012 and still holds a World Ranking today of 144th. With a rapid penhold, short pimple attacking game, Li Chunli plays traditionally using the same side for all her backhand strokes. With a strong focus on service and fast drives and smashes, Li proves she still has the speed to keep up with many opponents out on the table. 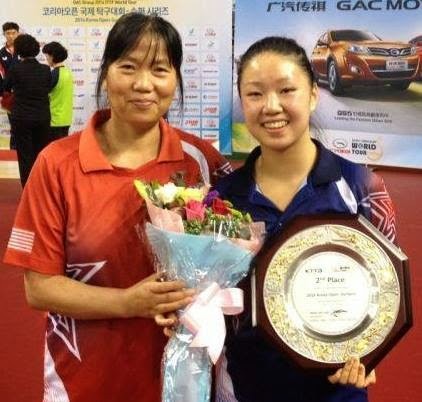 She was part of the team which won 3rd division at this year's World Team Championships. Krisztina Toth turned 40 years old this year and has a wealth of experience. She is a left handed inverted rubber shakehand player who peaked at 13th in the ITTF World Rankings and remained top 100 in the world until November 2013, leaving the World Ranking list at 112th in January 2014. She is a 4 time European Championships singles medallist and boasted wins in her career over such players as Feng Tianwei, Georgina Pota, Tie Yana, Kim Jong and many others. She finished in the Top 3 in the European Top 12 on 3 occasions. Toth earned over 20 European Championship medals in her career and had class in her game style, often resorting to creative shots and world class lobbing. She could in style terms be compared as a female Jan-Ove Waldner, with her masterful control and superb looping game. A wealth of experience among these 5 champions of table tennis and all the respect in the world for their level of skill, commitment and passion to the sport. We salute you! Can Zhang Jike Take Another Piece of the Grand Slam Puzzle? Zhang Jike rapidly took to his new goal of claiming a second Grand Slam by claiming gold at the 2013 World Table Tennis Championships. With the Olympics in the near distance, the ultimate priority for Jike now is to claim a second World Cup title. Can he claim that piece of his second puzzle? Can Zhang Jike win a second World Cup? 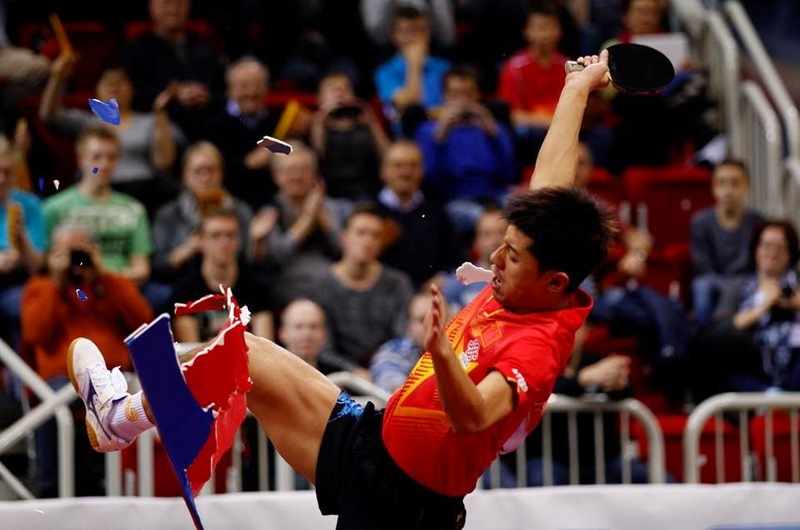 The ITTF Leibherr World Cup will take place in Dusseldorf, Germany which poses a dangerous environment for the top 2 seeds, Ma Long and Zhang Jike. No doubt a strong European crowd will be in place behind the top European competitors. The crowds will surely be putting their support behind their home athletes, 3rd seed Dimitrij Ovtcharov and 5 time World Cup medallist Timo Boll (twice a winner in 2002 and 2005). In order to win Zhang Jike will have to put all his reservations aside. In the 4th seed position is Jun Mizutani of Japan who Zhang is all too familiar with. In 2010 Jike found himself battling back from a 3-1 deficit to win 4-3 at his first World Cup appearance. Jike went on to lose the final to Wang Hao. At that World Cup only one other player defeated Zhang Jike, in the group stages, and that player was 5th seed Chuang Chih-Yuan who exceeded expectation in a spectacular match. Check it out below! Marcos Freitas also enters the mix, having excellent results to help Portugal at the recent European Champs where they made history by defeating Germany in the final on their home turf. Tang Peng is the final player in the top 8, though Jike maintains a flawless win record against the player from Hong Kong. A wealth of experience lies within the World Cup field and we all know on the right day any of these athletes has potential to upset any of the top seeds, however the real task for Zhang Jike will be against one of his biggest rivals, Ma Long. 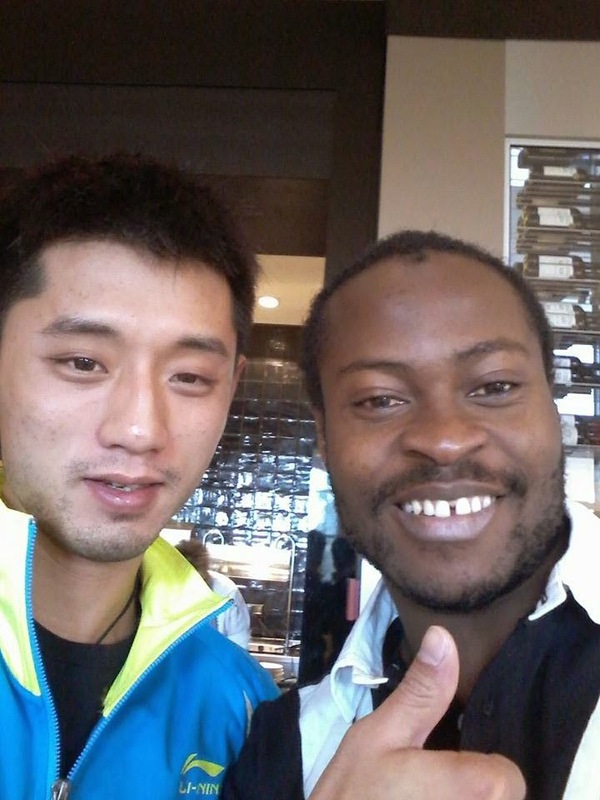 Ma Long was the 2012 World Cup champion and holds a record 15 ITTF Pro Tour titles to his name. His international performances against Zhang Jike have mostly been in Ma's favour though the players have drawn closer together in the last couple of years. Can Zhang Jike rise to the occasion as he so often does in the major world events. This will be a true test of how determined Zhang Jike is to rise to head coach Liu Guoliang's challenge. Can Zhang Jike move on great step forward in his mission to be the first player to win 2 Grand Slams? Deng Yaping has been the closest to achieving this feat thus far, being the only player to win 2 Olympic Games titles, combined with her 3 World Championship singles titles and a lonely single World Cup title. This is the moment for Zhang Jike, winning here would restore Liu Guoliang's faith in his ability to complete the task at the Rio Olympic Games. Can he do it? What do you think? 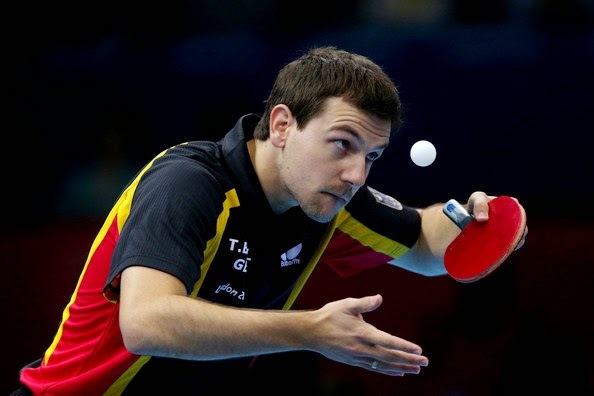 Having watched a relatively large quantity of table tennis videos in my time and a few specific ones about the best backhands I decided to write this blog post about one of the more lesser recognised players. I was also reading over something about the top 10 backhand players of all time. Granted these 10 players were all great players, but the backhand of Serbia's Aleksandar Karakasevic in my opinion stands in ability to equal the 10 on the list. Of course Kreanga is noted as the backhand player of the modern age for his wild swings and powerful backhands far from the table. The man is able to counterloop with equal power on both wings. So with such status in the world of backhand, how does Karakasevic stack up with the Greek God of Backhands? Karakasevic, a worthy backhand player! Well, if you have ever watched Karakasevic play, many of you may not have, he is all class. Not the most orthodox style in the world but the versatility of his backhand is incredible. The left hander has such an impressive range of options on his backhand. From soft blocking to blocking early in the bounce, counterlooping and punching, slow spinning and third balling. Not only this but he displays an amazing level of confidence in his backhand, so much so that he has been known to cover a large area of the table with it, even coming well across onto his forehand side to favour his backhand. This is the true definition of a backhand dominant player. There also aren't many players who are comfortable playing full strength counterloop off their backhand side when back from the table. Karakasevic is truly an anomaly player in this regard. Karakasevic was a European Championships bronze medallist in 2011 and had a highly notable win at the 1997 World Championships where he beat 1996 Olympic Champion Liu Guoliang. Take a moment to watch the match above where Aleksandar Karakasevic defeated Tiago Apolonia 3-1 in the 2012/2013 Bundesliga season. The number of incredible backhand plays is beyond impressive. Granted the Serbian doesn't have the best physical form or footwork, his touch on the backhand is fantastic. Lily Zhang has secured a momentous victory for herself and for team USA by winning the bronze medal at the 2014 Youth Olympic Games in Nanjing, China. Having already beaten the nerves of the prestigious competition, Lily had battled hard to progress through the quarterfinal round. Her big chance first presented itself in the semifinal where she played against Doo Hoi Kem, the top seed from Hong Kong. The top seed from Hong Kong proved to be too tough a match for Lily, winning out in all the crucial stages of the match to win in 5 sets. We hadn't seen the best from Lily yet though and it was her display for sheer determination in the bronze medal match which showed why the USA and fans around the world were so firmly behind her in support. Facing Miyu Kato from Japan, Lily had to rise to the occasion for her chance to reach her big goal, to win a Youth Olympic Games medal. She did just that. Executing highly accurate placement on her backhand was the opening weapon of choice for Zhang, effective at first it was Kato who was still fighting hard to keep on the ball. Every game was incredibly close, fans were on the edges of their seat and there was a full audience in the stadium. In fact it was the first 5 games which were all sealed with a 2 point difference, showing the passion and drive of both players in this once in a lifetime occasion. Kato took the first set in deuce but Zhang was just finding herself in the match, as we had seen in many of her matches in the tournament. The second set fell in Lily's favour and drew the match to 1-1. We started to see longer rallies as both players clung on for each point with a high percentage of backhand exchanges where Zhang tried to focus on pulling the ball across the middle and then wider out to the backhand line. Some of these exchanges were successful but in others it was Kato who forced the error to take the point. Zhang took the lead 2-1 and was ahead in the 4th but a string of lucky points from Kato brought her back into the game and she stormed back from 9-5 down to win the game 11-9. This would prove to be a test of confidence and character for Lily Zhang as the match drew at 2-2. The remainder of the match was no less close than the beginning, but we started to see Lily Zhang taking more control in the points, her placement becoming a little stronger and more tactical, some variation beginning to force errors from Kato. The end result closed in and Lily Zhang clenched a 3-2 lead and stormed onwards towards the finish line. with US coach Lily Yip. With a match point on her side and a rally which pushed both players to their limits, it was Lily Zhang who claimed victory and achieved her goal of winning a medal at YOG 2014. Hands in the air with excitement and tears of joy for Zhang and a big show of support and congratulations from a smiling and excited Lily Yip who stood in the coaches corner. A long and exhausting campaign for both Zhang, Yip and Avvari but a successful result for the USA in Nanjing with still the teams event to go! Well done team USA! Lily has been well supported in Nanjing with her teammate and fellow US competitor Krish Avvari and of course Youth Olympic Games coach Lily Yip who has been heavily involved in the campaign over the past few months including travel and support at numerous international junior events and training camps. While it has been an exhausting experience for Zhang so far who has had a very busy schedule to prepare and even endured the Japan Open whilst ill, she has pushed through in order to be at her best in Nanjing and the results are showing. Coming through her group in first place was the first hurdle but Zhang was well prepared, largely in part to having high quality practice partners organised to help her every step of the way. Here is a clip of her training with a high level Chinese practice partner on the table adjacent to China's Youth Olympic Games competitor. In her group Lily worked hard and had victory against her opponents, including stiff competition from her South Korean opponent. She advanced into the round of 16 where she faced Lisa Lung from Belgium. While Zhang always maintained a lead in the match, her opponent showed determination throughout and the match stretched to 6 games before Lily closed out with a convincing 11-5 win to end the match 4-2. Into the quarterfinal stages and Lily was edging ever closer to her goal of achieving a medal finish. Her opponent Tamolwan Khetkhuan from Thailand, again Lily took off to a strong start. The sets in this match were close and her opponent really kept the pressure on each point. Lily showed a high level of mental strength to close out the games by winning the crucial points. While the Thai player was able to steal away a set in the match, it was Lily who showed she is a force to be reckoned with who claimed the 5th game 11-3 to win 4-1 and advance to the semifinal round. Lily moves on to play against Doo Hoi Kem, the top seed from Hong Kong. Of course we wish her the best of luck and hope she achieves her goal of a Youth Olympic Games medal! Be sure to keep up with all the action on ITTF and the YOG Live Blog! Thought I'd have a little bit of fun with this one, obviously I cannot claim to have played table tennis in all of these places but if I haven't they are definitely on my wishlist. 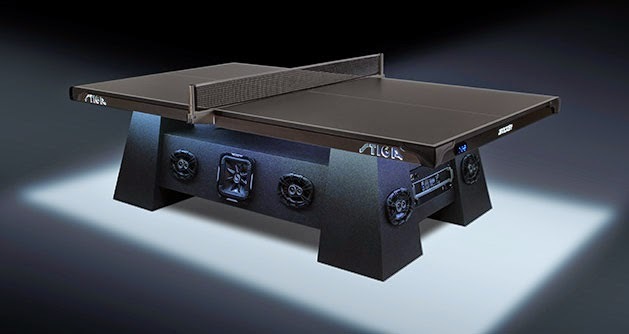 Let's show the world how versatile table tennis is, because it can almost be played anywhere! Table Tennis in the water, everyone loves to swim and pools are directly linked with relaxation and vacation. So why not include table tennis in your holiday fun! 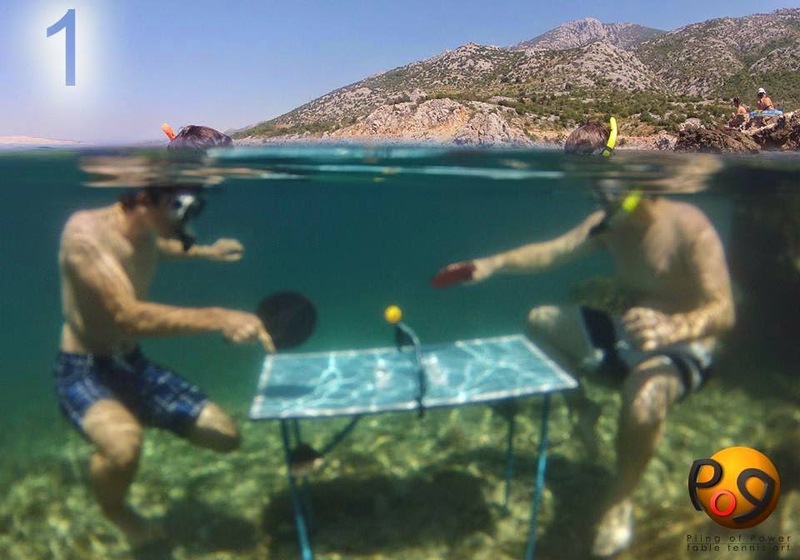 Why not take it a step further like the guys at Piing of Power and play table tennis underwater? Are they crazy? 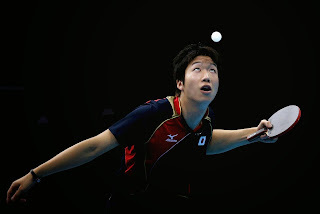 To answer in short, yes, crazy for Ping Pong :D Check them out on Facebook: Piing of Power. Piing of Power's Christian and Joachim playing underwater. One place I can say I have ventured, the hub of table tennis meets fun times...SPiN New York. 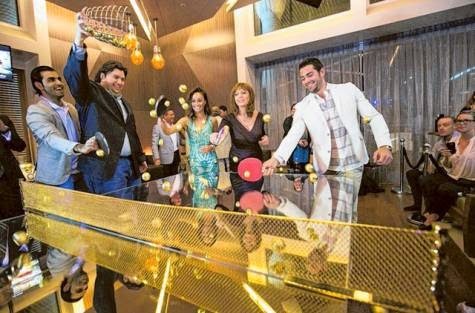 A nightclub fused with ping pong, the ultimate social night out. Now these clubs are appearing all over the globe, but New York is where it's at! 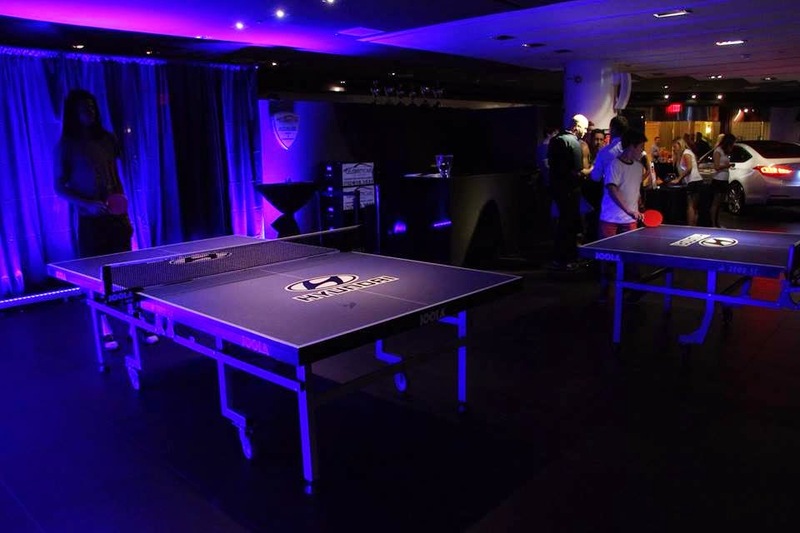 SPiN New York, the ultimate Ping Pong Night Out! 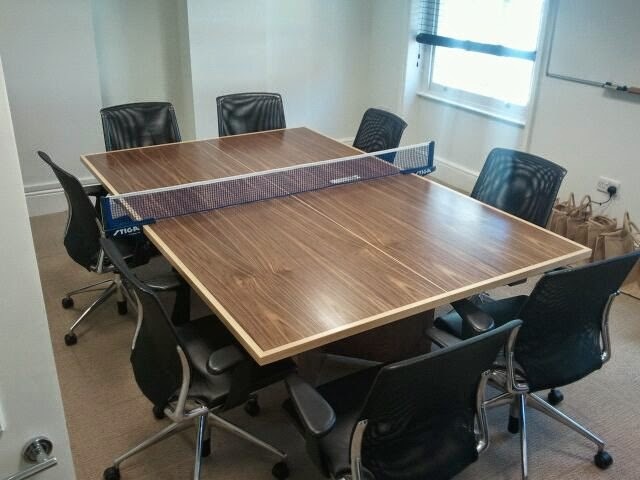 Cut the boredom and start your day with something a little less work oriented by transforming your morning meeting desk into something more exciting! Screw Meetings. Start your day with Ping Pong! Well the Chinese National Team have been there and left their mark, we saw golfers tee off here, tennis stars battle it out...then came table tennis to one of the world's most spectacular hotels. Now this is my kind of paradise, a few cocktails, some sun, sand and some table tennis. Is there anywhere this sport can't go?! Ping Pong on the Beach. Paradise! This pic was snapped at Market City Mall in Sydney Australia where they hosted a small tournament with the best players in the country for some good prize money. 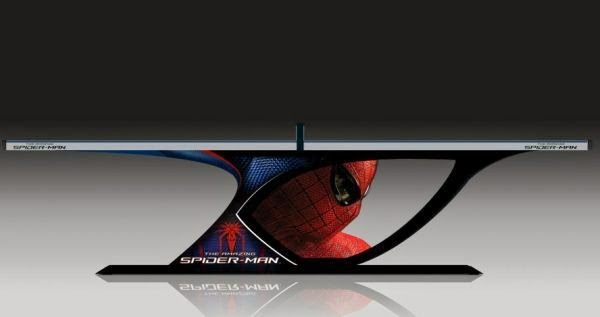 What a spectacle! Where the grassroots of social table tennis holds strong. The man-cave of ping pong. The Garage. Not the most original of places but one you can always come home to, gather friends around, convert to beer pong with ease. So much versatility and character! 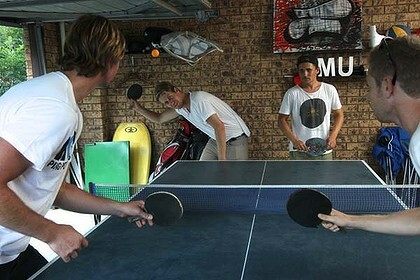 Garage Ping Pong, The Real Grassroots. A peaceful afternoon outdoors, a great place to locate a concrete table tennis table and have a game? Sure! 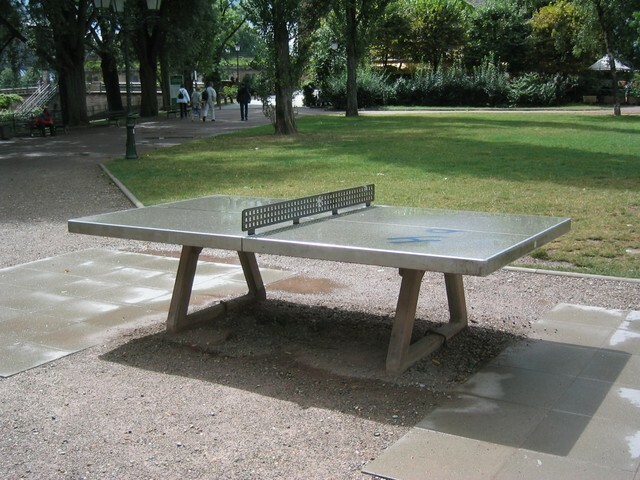 Awesome outdoor Table Tennis Table. Bercy Stadium. Home of the 2013 World Championships. There are many more awesome places you can play table tennis, it's a sport for anywhere and anytime. So get creative and tell me where the best place you've played is! I realise some of my blog posts can take on a very cynical and negative approach to some things but after seeing the two toned ball in the super league semifinal I felt like writing this! Anyone who is not blindfolded can see that the popularity of table tennis in live arenas is decreasing. 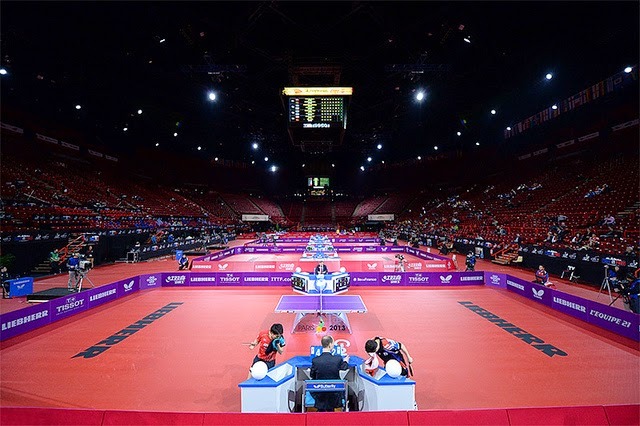 While the World Championships have drawn reasonable crowds, most World Tour Events, particularly those not in the Super Series, have a pretty poor showing. Once upon a time table tennis was a hugely popular sport. Now our proud statistics are distorted by enormous numbers of players within China. The truth is table tennis was (and still is) a great sport, it drew great crowds and was a popular game. Then somewhere along the line things started to change, the crowds were there already but other indoor sports were starting to compete and table tennis had to change to survive. To please the spectators the ball was changed to a 40mm ball, they wanted to slow the sport down and also make the games shorter. You ask any international players from that era and they will tell you they preferred the 38mm ball and the game to 21. In my recent interview with Petr Korbel he also states this fact. The game was faster and fiercer. But ITTF catered for the spectators instead of the players. What happened? The number of players decreased, people were drawn to other sports, spectator numbers fell. China were the first to ascend through the phase of the new game and their dominance began, a dominance people grew tired of. As magnificent as the Chinese are to watch and admire, nobody wants to see the same country win over and over again without so much as a challenge, sport is about seeing competition especially on an international level. So excitement dwindled, what's the point in watching if you already know which country is going to win the World Champs, Olympic Games, World Team Champs etc. Then move along a few years and speed glue gets banned because it's toxic. Another measure to slow the game down and bring in water based glue which offers no speed effect at all. Players like Kreanga, the big hitters, take a long period of time to adjust. China excels again, mainly for their creativity in discovering means by which to boost their rubbers which spread eventually around the globe. Once again ITTF tried to make these methods illegal also. They want the game to be slower so that people can watch. Who suffers? The players. Are we heading back to this? Now we come again to a new phase of the game, the plastic ball, we are slowing down again. For the spectators. 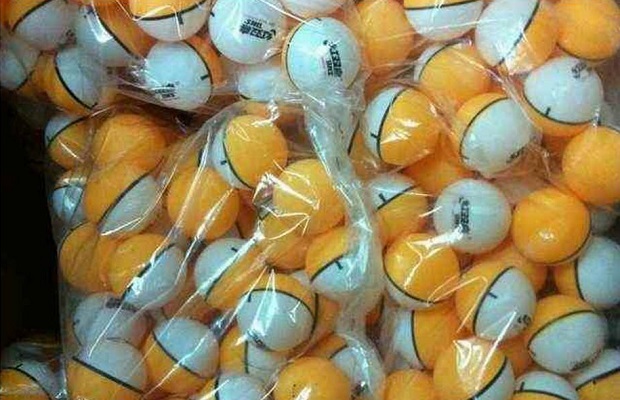 While there are other factors in play like the nature of shipping flammable celluloid balls, the players will again take the hit and the game will slow down again. There are active players who will have to suffer through 3 different phases of the game in their lifetime, possibly even 4 at this rate, all for the spectator. So we will all go back and adjust to the plastic ball and it's slower and lower bounce, less power and speed and spin. Why don't we just go back to playing on a dining room table with sandpaper paddles? The sport is growing online, viewership is growing online, but not so much in venues where it still suffers. On the internet, slow motion replays can be employed to help spectators see what is happening. Different camera angles and make rallies easier to watch. Higher quality streams and replays will ultimately feed the growing number of fans online. Why do we need to continually slow the game down for the spectators? Take the hint, it's not working. Events like Kuwait and Qatar Open bolster a handful of mildly excitable fans clapping...in the finals. Table Tennis was a game of speed and spin, we are gradually degrading to a simpleton sport of hitting a ball back and forward, the skill is diminishing. The focus on promoting the sport for spectators is wrong, sport is for playing. How many sports have we seen make this many changes in equipment and rules in the past couple of decades? I think just 1, table tennis. Now CTTA are proposing to introduces a two toned ball, half orange, half white. This is...for the spectators. We want to help them understand spin. Imagine playing with a two toned ball. You serve and your opponent can see the spin on the ball. You try and fool them with no spin, too bad, they can see the ball rotation. I was just watching the Super League semifinals, you can't even see the colours of the ball on the live stream, let alone the rotation. I doubt anybody watching live will be able to see the detail of the ball either. So why are we doing this again? The players are constantly losing out to cater for spectators, the numbers of which are continuously falling and the sport is becoming less popular. It is not the sport it once was. ITTF should be using speed and spin as it's headline marketing campaign, they should be showing the skill and reflexes of the best players in the world and building up the reputation of the sport. Also they should stick to one equipment regime so that we don't have to keep changing all the time. Every time we change, China gets one step ahead because they already have a new generation of players in the wings ready to adapt to any new systems, rules or equipment changes that can be thrown at them. The popularity of the sport depends entirely on image and big events. Build the grandeur of the events and people will come to watch them live. 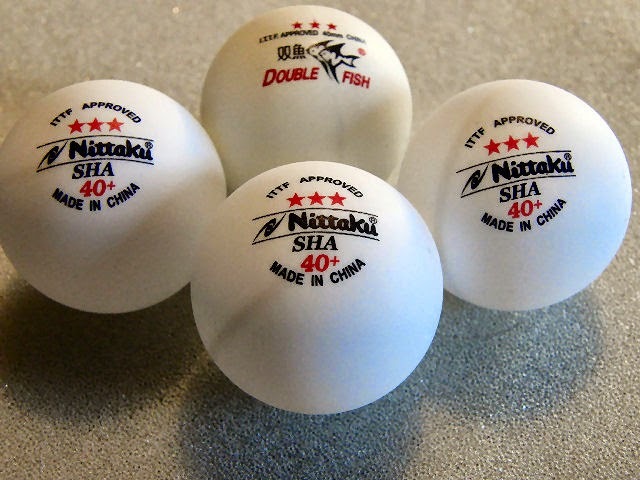 Here is my review with www.tabletennis11.com of the DHS 3 Star Plastic Ball. 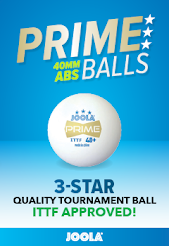 Be sure to check out their site for all your equipment needs and of course to get your hands on the new plastic balls from a range of brands! I was fortunate enough to attend the Topspin Annual Charity Table Tennis Tournament at the Palazzo Hotel and Casino in Las Vegas last Saturday. This is an event hosted by Chris Paul where NBA players face off on the ping pong table to raise money for the Topspin Charity. Wally Green landed in town along with Soo Yeon Lee and Kim Gilbert to add a bit more table tennis presence to the occasion. I headed down there with Carmencita and Cynthia Alexandrescu and of course Sam Larab who captured some great photos during the evening! The draw was full of NBA players and the smash talk was pretty fierce, there were some great laughs and some funny points during the event. Soo Yeon and Wally did a short exhibition on the main table. I slid off to the Practice Lounge for a little while to play some games with people who were coming in to check out the event. I had the pleasure of playing for a little while with Al-Farouq Aminu from the New Orleans Pelicans and then also played some fun doubles with Camy against random challengers. It was great fun to get out in Vegas and be part of the event in such a great environment, these are the kinds of events which are superb for the sport. I also had the opportunity to catch up with Soo Yeon Lee. I remembered Soo Yeon from the year she spent in New Zealand ten years ago when she was crowned 2004 NZ Open Champion in the women's singles. She had flown to Vegas at the last minute after deciding she just had to be there for the Topspin Event. It was a huge honour for me to interview Petr Korbel. He is certainly a player to be admired, still a force to be reckoned with on the international stage, many years after his best performances. I used to watch Petr as a junior at the age of 14 years old when I was (at the time) also using his Butterfly blade which has been and remains to be very popular. Petr is now focusing on starting his own table tennis academy in the Czech Republic. How and when did you start playing table tennis? I start to play at the age of 7 years old, but only once a week. After the age of 11 I started to play table tennis every day. Petr is still active in international competition, making him one of the most experienced players still active along with other legends, the likes of Jean-Michel Saive and Jorgen Persson. What has been your most memorable moment in your table tennis career? How do you feel about the changes in the sport over the years? Which era of the game did you prefer playing in? I prefer to play the time before changing the scoring system (score to 21, 5 serves each) and with 38mm ball. Which international table tennis player have you held the most respect for over the years for their playing ability and attitude to the sport and competing? You placed 4th in the Atlanta 1996 Olympic Games, what can you tell us about your match with Rosskopf? There must have been a lot of mental pressure? I would not to say mental pressure. For both of us(we are very good friends) the match was difficult to be ready and to be focused for this match after both losing in the semifinal stage. How important do you think experience is in table tennis? You still managed to beat players like Koki Niwa and had a very close match with Mizutani a couple of years ago, well after your peak level. Was it experience that allowed you to still continue to achieve results against formidable rising players at that time? I think experience, concentration and the right tactics. Basically experience makes a lot in TT. 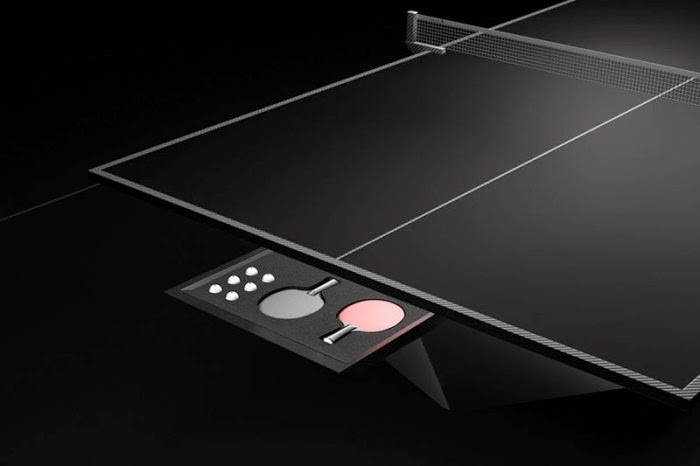 What is your current table tennis focus? Will we be seeing you on the World Tour this year? Focus is on my own Team in Czech Republic(STEN Marketing HB Ostrov) and I want to play some World Tour tournaments. This year I also started with APEKO(Academy Petr Korbel). Petr is in the early stages of starting his academy APEKO which opened 3 weeks ago but is looking to build to a permanent venue. 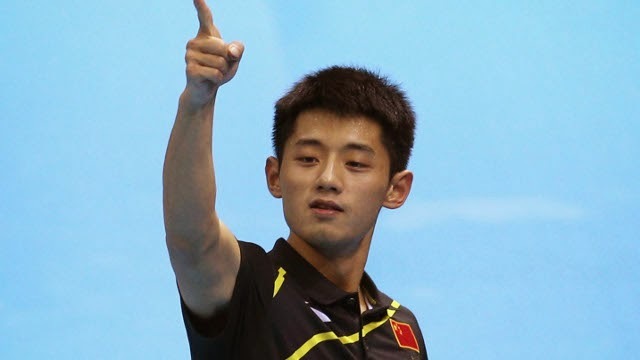 What is your opinion on Zhang Jike? Do you think he has what it takes to be the first player to achieve 2 Grand Slams? At the moment he is the best TT Player that is why he can do it. On the big tournaments like Olympic Games and World Championships he is the strongest player mentally. How do you feel about the level of play in Czech Republic within Europe? Do you think there is a lot of promise for the future with the current juniors and the strength of the league system? My opinion is, we have a few talented young players, but a bad system...We have to start to invest in the coaches, make a system for the young players like practise system etc. This is for a long discussion, which I try to explain to our TT Asociation already since more than 10 years. But most important is that the players need to work very hard. Across your career who were your toughest opponents internationally and what made them so difficult to play? What do you like to do when not playing table tennis? 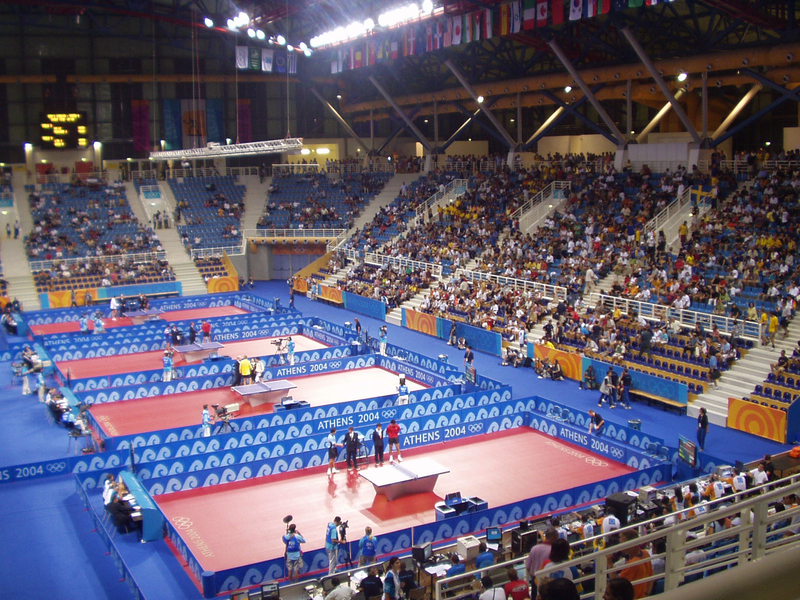 What advice can you offer to anyone aspiring to play table tennis at international level? Hard work and never give up. Expert in a Year Shows Great Progress at Half Way Mark! Expert in a Year is a new project created by Ben Larcombe to take a beginner level table tennis player and turn them into an expert in just 12 months. Ben, already writing on his site www.experttabletennis.com and now also the expert writer at about.com table tennis page has this year been putting his efforts into www.expertinayear.com. 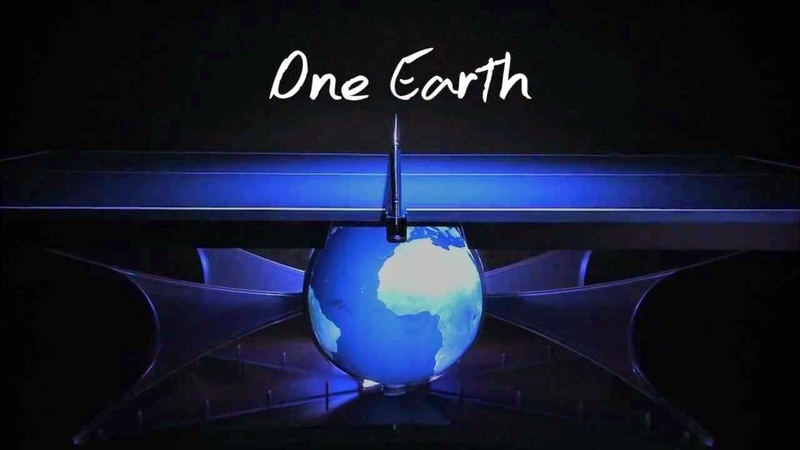 Check out the video below if you want to know more about this awesome undertaking! Hi Ben and Sam. Thanks for taking a little bit of time to answer some questions for me about Expert in a Year. Congratulations Sam on your progress so far and well done on keeping your great commitment to this half way point of the challenge! Ben: What was your inspiration for the Expert in a Year Challenge? Where did the idea come from and what made you want to dedicate a whole 12 months of your time to this project? Well it was something I’ve been thinking and planning in my head for quite a few years now. I guess when I moved to train at Grantham Academy (2007-2009) I really realised, for the first time, the astonishing power of practice in table tennis. I became convinced that high quantity and quality of practice was the biggest factor in becoming a top player. Then I continued to study the topic of deliberate practice and expertise at university during my coaching and sport science degree. I read all the pop culture books on the subject, dug into the academic papers and then spent a year investigating ‘The role of deliberate practice in table tennis expertise’ for my final year dissertation. You can read a blog post on my results from the dissertation here (http://www.experttabletennis.com/deliberate-practice-table-tennis). I started coaching full-time in 2011 and my biggest frustration was how difficult it was to create a top player purely down to logistical reasons. There simply wasn’t enough time, money and resources available to give players the quantity and quality of practice they would need to see really dramatic results. I began to dream about what the perfect environment and player would look like and then came up with the idea of the Expert in a Year challenge, high quality practice every single day for a year with the goal of becoming an “expert” player by the end of the year. Achieving in a year what it took me about ten years to achieve! I assumed there was a good chance I’d never have the opportunity to actually put the theory into practice but then a good friend of mine Sam got into table tennis recreationally and it all just kind of came together. I asked him if he was up for it and he said “why not”. Ben and Sam undertaking a great table tennis challenge. Expert in a Year! Sam: Similarly, what made you commit to 12 months of this challenge and wanting to learn this level of table tennis? Naivety! To be honest I didn’t really have a clue what I was getting myself into. I thought that 365 hours wasn’t very long and I was lured in by this “shortcut” to getting very good at table tennis. I’d thought for a while that I’d like to become world class at something. I’m quite good at a lot of things, but there’s nothing I can really point at and say “I’m an expert in that”. On top of that my personality is one that gets easily excited by potential projects, and I’m very quick to dive in and give them a go. But I almost always completely underestimate the amount of work involved. In reality it is 365 hours of one-one training, but once you add in all the admin, travelling, self training, matches, video watching, training camps it ends up being 3-4 times that amount. Plus all the training is very high intensity mentally. I need a lot more sleep than I did before I started, I’m eating more and I still have to do all my other work. My social life has pretty much been wiped out, when I finally have some free time I have no energy left. Plus table tennis is so much more complicated than I thought it would be! Don’t get me wrong, it’ll all be worth it when in January when I look back! Highlights from Week 2. Lots of videos to follow the progress! 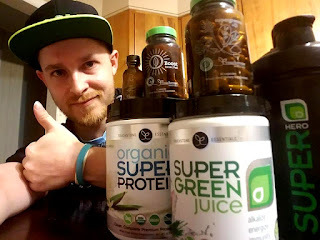 Ben: How difficult did you think the goal you set would be to achieve when you started this challenge and how do you think your progress so far sits so far in line with your goals? So originally we were going to aim for a ranking inside the England top 400. I saw that as quite achievable and also I think it is a similar level to the 2000 rating in the US, which Alex Polyakov (http://www.breaking2000.com) achieved in two and a half years. Perhaps it is just below 2000, it’s hard to compare the two systems. I spoke to Alex extensively about his project and became convinced that with enough practice near enough anybody could achieve that kind of level of play. Then I contacted Table Tennis England out of curiosity to find out how many players they had registered in clubs and leagues up and down the country. They told me that there are roughly 25,000 active, registered players that compete and about 100,000 if you include people that play regular recreational table tennis. I think they call that “basement” table tennis in the States. So I bumped up our goal to top 250, as this would technically put Sam in the top 1% of registered players. As I wrote in a status recently, I think to achieve this in a year is ‘nearly’ impossible. But that’s what makes it so exciting. It’s really difficult to tell if we are currently on track to achieve anything like that kind of a ranking by the end. We are aiming to turn Sam into a super aggressive player who attacks as much as possible. That means that at the moment if he is missing all his shots he can lose to anyone. I’m judging his performance more on his decision making and technique than the results. We are hoping at some point, before the end of the year, it’ll all click together and he’ll be able to get the majority of his killer shots onto the table. Sam: Did you think the goal was reasonable at the beginning of the challenge? How has your perception of Ben's goal for you changed over the months? Again I really didn’t know what being a top 250 player meant! I didn’t follow table tennis, I didn’t know anything about the sport and I certainly didn’t realise just how much skill was involved. Ben said it was possible and so I believed him. Once we started everyone we spoke to said it was impossible, or if they were too polite to say so just have us a strange look. And after learning a bit about table tennis I’m inclined to believe them. It’s a tremendously complex sport played at such fast reaction times. As time has gone on it has got more and more daunting but Ben says he still thinks it’s possible. I’ve played a couple of people around the 500 mark and thought to myself “my technique is better than theirs!”. If only I could read their shots and serves while getting my own shots consistently on the table I could beat them. That’s a big if, but we still have 6 months of training, a few camps and lots of practice matches ahead of us. Ben: How has Expert in a Year shaped and developed your ideas about coaching table tennis? What do you see is the most significant thing you have learned so far? I guess my principles have pretty much stayed the same. Place importance on learning the fundamentals from the start, work heavily on correct technique and then progress to irregular drills, serve and return stuff, working on decision making and finally match play. The importance of learning movement patterns from the start and away from the table. The benefit of shadow play, for all shots and movement and in front of a mirror if possible. The effectiveness of feeding yourself balls to hit when learning strokes. I feel like my ‘coaching process’ of how best to take a complete beginner and teach them to play has improved massively over the last six months. Sam's highlights from week 18 of the challenge. Sam: What has been the biggest challenge for you so far during Expert in a Year? Ben: Essentially the first 6 months focused on developing important techniques, now looking ahead you will focus on point structuring and tactics and matchplay. Do you think Sam has an adequate base of skills to move forward and complete the challenge? I think we are very close. We are still doing a bit of work on technique still because I think it’s so important and Sam still has a few things he needs to change on certain strokes. Sam is going to be away at a few training camps over the summer getting some really intensive training, in Denmark and Hungary. I know that there will be some more technical improvements made on those camps so the plan is to keep the door open until the end of August. From September-December, the final third, we will just do the best with what Sam’s got. We will need to focus all our energy on how to win points, tactics, the psychology of the game and just winning in general. As I always say, there are no points for looking good. You have to find a way to win! Sam: Which techniques in the past 6 months have you found most enjoyable to learn and alternately most difficult to learn? I suppose least enjoyable and most difficult are probably the same! It’s really tough to continually fail and mess up shots. On the flip side there is a lot of enjoyment when I pick up a new shot quickly and efficiently. Most enjoyable is probably the backhand flick. It feels quite natural and is very satisfying when it comes off. Blocking is my least favourite activity. I’m rubbish at it and constantly getting my fingers battered by the ball, little bits of pain to remind me just how crap I am. Ben: So far we have seen a great level of dedication to learning from Sam, how did you think Sam would go with the challenge when you began? Yeah, Sam has been brilliant. He’s managed to fit all the training around his other commitments and makes sure that we find the time each day to get the sessions in. I have to say, before we started, I had no idea how dedicated he would be. I knew for sure that he had no idea what he’d got himself in for. I knew how much work it was going to be for him. I don’t think he had a clue! I thought there was a chance that a couple of months in he might say he just didn’t have the time to continue with it, or something like that, but he’s stuck with it to the halfway mark now so I’m sure he’ll see it out. Sam: What has been your biggest goal for this challenge aside from Ben's main goal for you? My biggest goal? Well I suppose I want to get to the level when I can beat any of my friends or anyone I meet at table tennis. If I get to the end of the 12 months and someone can waltz up, having only played recreationally and beat me I’d be pretty disappointed. I’d also like to be able to give Ben a good game. Recent highlights of week 27 uploaded July 9th! Ben: Now that Sam has begun his matchplay phase, how do you feel his level is sitting and how have you planned out the next few months for him? We’ve been going down to a few local clubs so that Sam can play matches against some of the regulars there. I’m very happy with how he is playing. He looks really good knocking up compared to most players so when he asks to play games I think a lot of newish players are a bit hesitant. They assume he is going to wipe the floor with them. When we first started going down to clubs in May Sam was really struggling. He knew what to do he just couldn’t do it. Everybody plays so different and it was really hard for him to adjust to whatever they were doing. He’s got much better now though and it’s great watching him play from week to week and seeing such massive improvements in such a short space of time. As I said earlier, July and August and very busy with training camps and other training. Sam will continue to go to as many local clubs as possible however and just learn to play against different types of player. From September onwards we will get very serious with tactics, filming all his games, and analysing what he needs to do in certain situations etc. Practice will be completely based around things we’ve spotted in the matches that need to be worked on. Sam: How do you feel in matches with your new skills compared to before? Do you think the amount of hours you have put in to Expert in a Year has been worth it for you? I’m trying to play like an ultra aggressive top 250 player, which means attempting shots I don’t have the skill or feeling to execute consistently. I’ve only really played against Ben and now that I’m starting to play other people, and their ever varying styles. Their shots have different amounts and types of spin than Ben’s, which really throws me off and means my shots than in training are so beautiful and elegant, look awkward and always miss. We’re at the stage now though where I’m very quickly getting noticeably better at matches. In a couple of months I reckon it’ll really show! Ben: What kind of obstacles have you run into with Expert in a Year? What has been the biggest challenge to overcome so far? It’s actually been relatively smooth sailing. At least I think so! We have both been surprised to see a consistent and significant improvement to Sam’s game week-by-week. Obviously we were expecting him to improve but we were worried that we might have weeks and perhaps even months when it seemed Sam wasn’t improving or had hit a plateau. Fortunately, that hasn’t happened at all. There have been a few minor challenges. Sam has had issues getting his wrist movement correct on the backhand. I think that is pretty much 100% sorted now but it was one of those problems that seemed to drag on forever back in March and April. Sam has also had a few back problems and we’ve missed training because of injury. There doesn’t seem to be much we could have done about that and it always seems to have flared up quite randomly instead of after stretching for a shot or something. One final thing that we have discussed together a few times is simply fitting in this level of training around work and life in general. It’s not easy! There is always a ‘good’ excuse for missing training. And I’m not even talking about needing a rest day or not feeling very well. We have pretty much just ploughed through whenever we’ve felt like that. It’s things like weddings, holidays, family meals, birthdays, anniversaries, days out etc. etc. If you took the day off and skipped training every time one of us had one of these we’d never get anything done! It’s really tough. It means that both of us have had to leave parties early, or rush back from somewhere late at night, in order to get the training in. We’ve both been late to things we shouldn’t have been late for and woken up at the crack of dawn to get other work done. As far as I can see this is the biggest obstacle to seeing significant results and progress as an adult in a sport like table tennis. Some of Sam's thoughts during the challenge. Sam: If you were to start the last 6 months again is there anything you would try and do differently? Well what I mainly did was to listen and do what Ben tells me, if I started again I’d still do that. What I think I should have done more of in my own time was to keep a diary, watch more YouTube table tennis videos and focus on service practice. They’re all pretty boring and I find it hard to motivate myself when Ben isn’t here, but they do make a very big difference. Ben: What will be the most important things for Sam in moving forward so that he can reach the goal which the challenge has set for him? I think that ‘winning’ is a rather strange thing. Why is it that some people seem to always win whilst others hardly ever win? In order to get a top 250 ranking Sam will need to beat a number of very good and experienced players. He’ll also have to not lose to players ranked 300th, or 400th, or 500th. I see learning to win, whatever that means, as being the most important thing for Sam, from September onwards anyway. He needs to beat people. I’m not sure whether it’s best to be desperate to beat them, to focus exclusively on winning and not even think about the prospect of losing, or if he should just focus on playing his best and try winning as a side effect. It’s a really tricky one. We need to work out the best way to win and how best to turn Sam into a ‘winner’. Sam: How confident are you that you can make it through to the end of the challenge and do you believe there is a realistic chance of you fulfilling the goal of the challenge? Yeah I’m very confident we’ll see it through and finish the year. The only reason we wouldn’t is if something really significant happened in Ben or my life that made it unfeasible, such as an injury. I’m not going to just give up. Partly because I’d miss out on the match winning part of the training! What use is spending 6 months to look good technically and not be able to win matches?